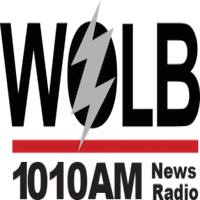 On Thursday, March 24, 2016, Radio One Baltimore’s WOLB 1010 AM and Praise 106.1 FM hosted a simulcast Mayoral Forum LIVE during the Larry Young Morning Show with mayoral candidates Sheila Dixon, Elizabeth Embry, Nick Mosby, Catherine E. Pugh, Carl Stokes and David Warnock. The Larry Young-hosted forum was organized to provide listeners with the information (i.e. police brutality, public safety, jobs, education, taxes, transportation, etc.) needed to make an educated vote in the race to become Baltimore’s next mayor. Listeners were able to submit forum questions for consideration via email and on Facebook & Twitter @PraiseBaltimore with the following hashtag: #BMoreMayor.